i think its no secret that i love lush to bits. everything about them is just great and their bath products are my fave. ever. 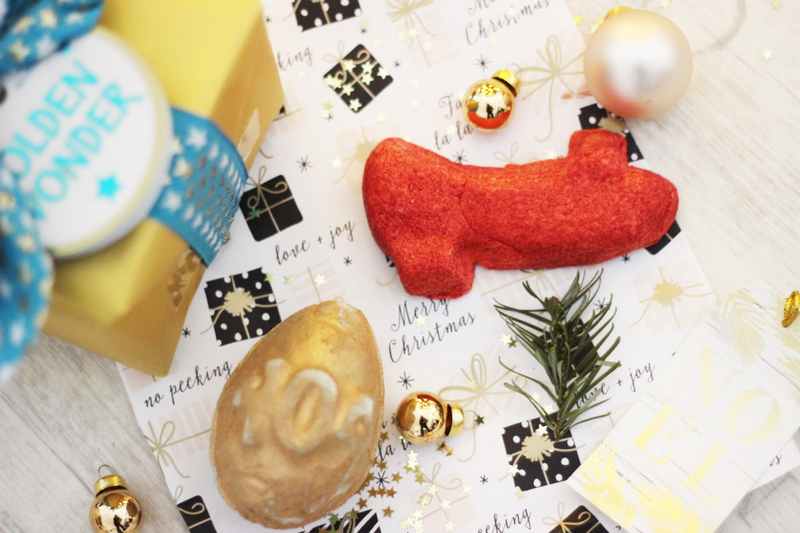 besides loving their regular bath bombs and bubble bars i get way to excited for their limited edition products and their christmas stock is probably the best. even though it has been in store for good 8 weeks, i only recently went in to get some presents for family and friends and i had to treat myself to some bits too. as you do. so for gifts i find lush to be one of the best options. its quite affordable and makes such a great gift for everyone who loves baths and pamper products. even though i love gifting lush items, i never actually bought any gift boxes from lush and this time i figured it would be great to give. 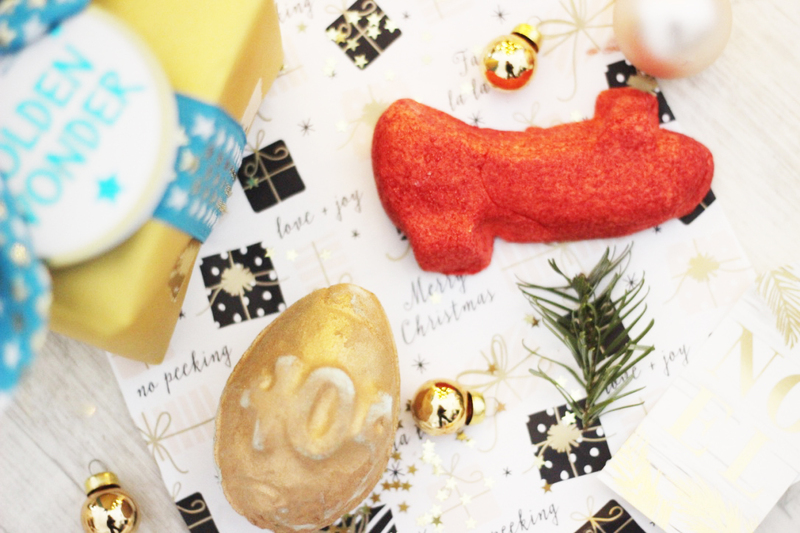 i went for one that included my favourite lush bath bombs around christmas. 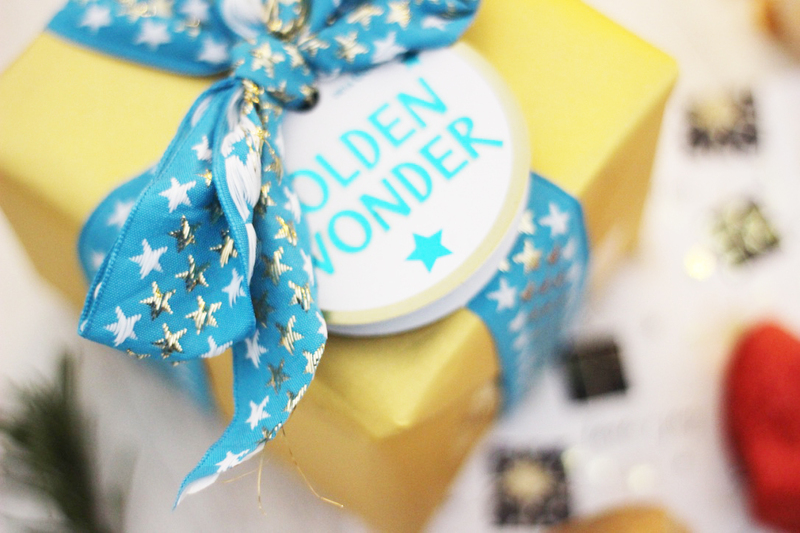 its hard to pick favourites from lush but the golden wonder gift set included some i really, really love. hence then name, it had the golden wonder bath bomb and the stardust bath bomb. both are just so soooo good and if you never tried them or if you are in the need for a last minute gift, i would highly recommend it. lush currently promotes a petition against shut down websites by the government which basically is when the error 404 warning pops up on your screen. you can sign the petition online and they also created a bath bomb for that cause. the error 404 bath bomb is an egg shaped bath bomb with a coating of copper glitter and a light blue insight. it smells very fresh and clean and provides the most beautiful bath colour and the copper makes it so much more pleasing and i love it. it also a limited edition one so grab it quickly. the last one i got is the ruby red slippers bubble bar. it looks so adorable and was created in honor of dorothys shoes in the wizard of oz. it smells strongly like cloves which is such a christmassy scent and it surely fills up the whole bath and i find it to be such a nice gift for any shoe lover and i can’t wait to use it. 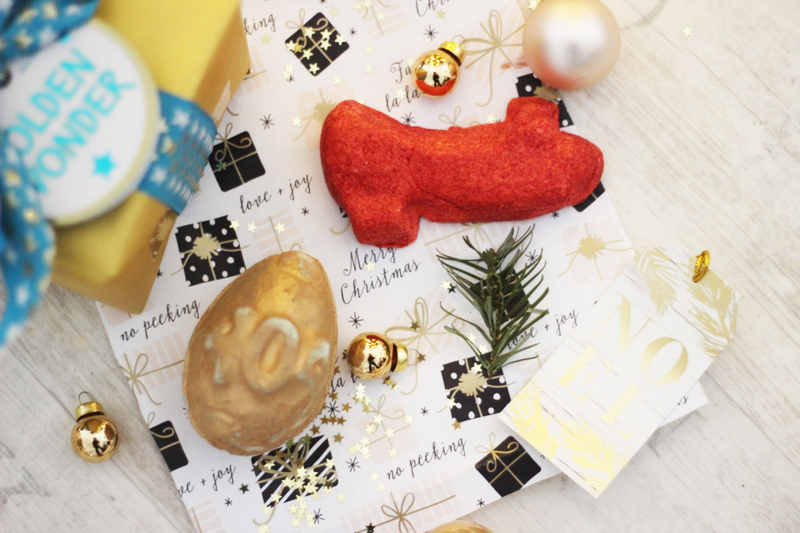 have you got any of the lush christmas products? which ones did you pick and do you like them? let me know.